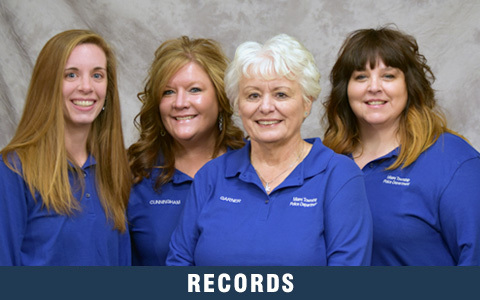 The Records Section of the Miami Township Police Department is under the supervision of the Support Division Commander. The sections is comprised of two fulltime and one part-time clerks. Some of the Citizens Police Academy graduates will aid the records personnel with such tasks as alarm drop warning letters, copying and filing reports and other general clerical work as needed. Other General and Administrative reports and records regardless of physical form are retained in accordance with the order of the Court issuing the record expunged. TRAFFIC CRASH REPORTS are the most requested reports: In order to make reports assessable to the public in the most efficient manner; they are posted on the Miami Township Police website where they be copied. They are listed by date; driver’s name; and/or crash location street. Click here to REQUEST A POLICE REPORT. Please allow appropriate time for the processing of your request. Please allow extra processing time for Holiday weeks due to the office closure.